With my continual quest for clear glowing skin, I decided to treat my skin to a Lush fresh face mask. I opted for Cosmetic Warrior as the name itself sounds like it will banish those pesky breakouts and blackheads. Lush are one of the more ethical brands on the high street, with their handmade natural products, environmentally friendly packaging and no animal testing. If I could create a product with the most amazing smell, it would be the smell of Lush packaged up. You know what I mean, the smell that hits you when you’re on approach to the store. Like fizzy refresher sweets, yum! Cosmetic Warrior promises great things however when you read the ingredients, one of which being garlic, your initial thought would be that it is far from the delicious Lush smell and verging on being rather revolting. Infact this is far from the truth and instead smells fresh with a very prominent fragrance of tea tree. The main ingredients are: fresh garlic, tea tree oil, kaolin, green grapes and honey. Mixed together they have antiseptic, soothing and deep cleansing properties. 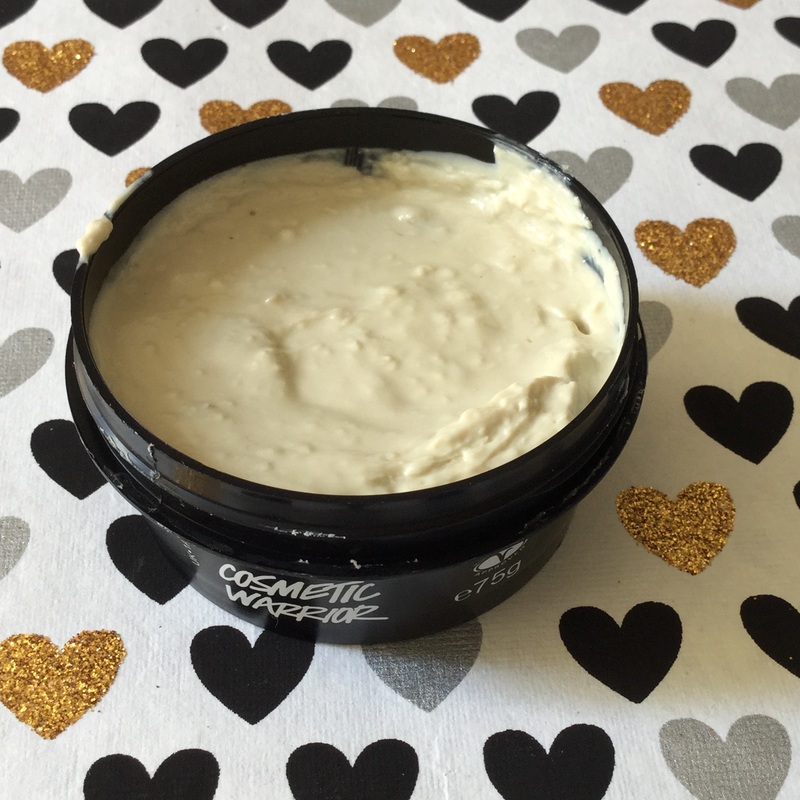 The mask is very thick in consistency however it will spread nicely over your skin. I love the cool sensation on my face when applied. Remember that these masks are fresh and therefore have to be kept in the fridge. They last about a month after purchase and have a label with a use by date on it. I use this twice a week and I would say that although the price tag is slightly pricey at £6.50 for 75g, you will get a lot of uses out of it within the month. Leave the mask on for 10-15 and then wash off with warm water. I noticed a difference straight away. Firstly I had a nice colour in my cheeks and my face looked fresh and glowing. 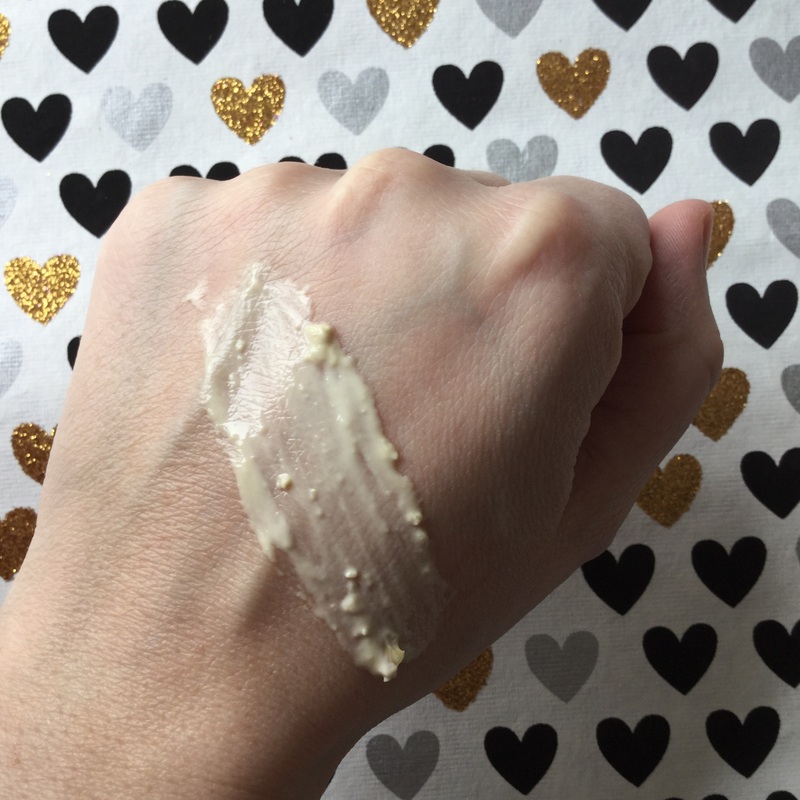 With continual use I have started to see a difference in my skin and any breakout that was there, the redness was dulled after the first use, and cleared things up much quicker. This is definitely one of my favourites! Another great thing is that if you save up five of your empty pots you’ll be rewarded with a free fresh mask. Bonus!